BUHL, Ala. -- A 35-year-old woman is behind bars after being charged in the murder of two people in Buhl, about ten miles from Tuscaloosa, according to CBS affiliate WIAT. 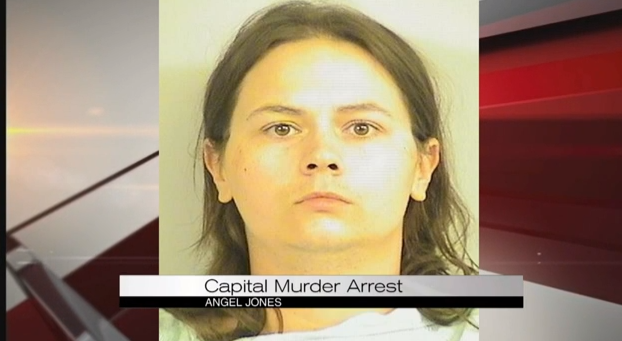 Angel Jones was charged in the deaths of a 55-year-old man and 53-year-old woman after the Tuscaloosa County Sheriff's Office say they received reports of an assault on Saturday around 5:45, according to the station. When they arrived at the scene, deputies found the victims suffering from severe injuries, but the nature of the injuries was not disclosed. The man died at the scene and the woman was transferred to an hospital where she later died. Jones was also at the scene and reportedly suffered minor injuries, according to WIAT. She was taken to the hospital, released and later taken to the Tuscaloosa County Jail. She is reportedly being held without bail. Investigators told the station that they determined the victims and the suspect knew each other. Their relationships and a possible motive were not released.